The Golden State Warriors look to take a 2-0 series lead against the Kawhi-less San Antonio Spurs on Monday night when they host them again for a Game 2 showdown at 10:30 p.m. The 2-seeded Warriors seemed back to their dominant ways after cruising to a 113-92 victory over the 7-seeded Spurs this past Friday night. 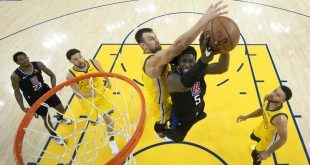 Two reasons behind the Warrior’s strong win were Kevin Durant’s 24 points, seven rebounds and eight assists and Klay Thompson’s 11-13 shooting, knocking down 27 points. The defending champs hope to get the same performance out of their two All-Stars and hopefully more will come in Game 2. The Warriors have had their toughest season thus far in the span of their Big 4 era. 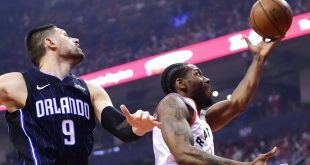 From losing 24 games this season, which is the most they’ve lost in the regular season since 2013, to having each of their big four players out at least once throughout the season. Kevin Durant had fractured ribs, Draymond Green had a groin injury and flu-like symptoms, Thompson had a thumb issue, and Curry has had numerous ankle and knee issues. You can read more about it here. Curry is still out and will remain out throughout the remainder of the first round with a grade 2 left MCL sprain. The Warriors have been without Curry since March 23, when he injured his knee in the first quarter against the Atlanta Hawks. Not having Curry in their lineup has shown that the Warriors can be beaten down the stretch, losing six out of their last 10 games of the season. But, their first outing against the Spurs proved that they’re back to their dominant ways. 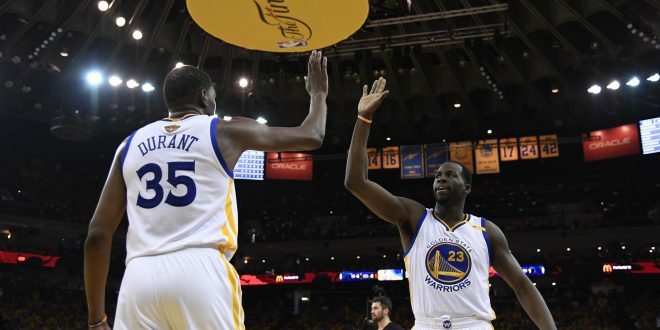 Draymond Green expressed his thoughts on how the Warriors have been sufficient enough to win games in the past without key players. He justified the injuries and added confidence behind his statement after a 21-point victory against the Spurs. San Antonio couldn’t keep up with Golden State from the opening tip. Javale McGee was placed as the starting center for the warriors and absolutely went off against the Spurs, notching 15 points, four rebounds and two blocked shots in only 16 minutes. The 2015 Finals MVP Andre Iguodala was also placed into a starting role, who’s only started in seven games this past regular season. Iguodala had missed the final five games of the regular season prior to his start this past Friday. 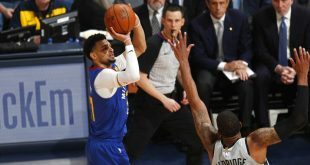 The defensive front that the warriors came out with seemed unstoppable, only allowing a combined 29 points between Lamarcus Aldridge and Rudy Gay. The Warriors have had a history with the San Antonio Spurs, sweeping them in the previous season in the Western Conference Finals, which helped them reach a historical 16-1 record and ultimately becoming the NBA champs. 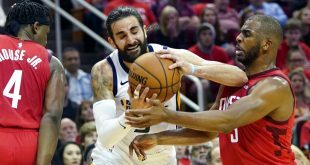 On Monday, the Warriors managed to set 32 assists on 44 field goals, 23 of them were on 33 field goals in only the third quarter, according to foxsports.com. Game 2 will be on Monday Night at 10:30 p.m. EST at the Oracle Arena.